AND Receive A Free Copy Of The Warrior Flexibility Program, Warrior Recovery Program AND The EXCLUSIVE 19 Bodyweight Warrior Finishers Program!!! 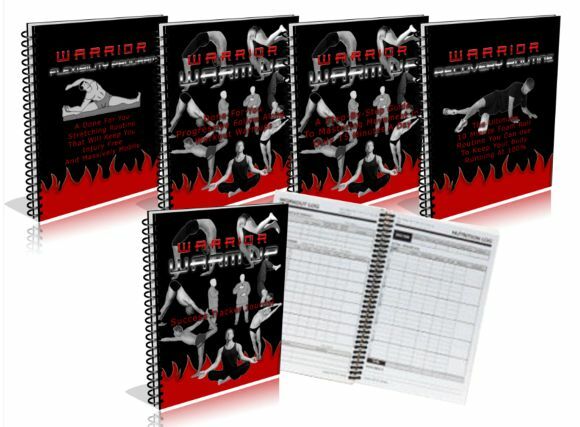 Today only you can get The Warrior Warm Up Manual, The Warrior Warm Up Follow Along Guide, The Success Tracker Journal and 3 Free Bonuses, The Warrior Flexibility Program, The Warrior Recovery Routine and The 19 Bodyweight Warrior Finishers Program while saving 64% off the regular price! 15 Minutes – 3 Days A Week? I’ve not only created a program that show you the EXACT PROGRESSIONS that you need to do, but as a SPECIAL BONUS if you order today you will receive not one or two but THREE FREE BONUSES that you can use to accelerate your results even further!! THAT’S OVER $199.94 IN VALUE!!! The entire Warrior Warm Up System has a value of over $199.94 but right now, you can save OVER $150.00 just for this special offer, and invest ONLY $17. P.P.S. There is one catch to this however… You need to act now to get the complete Warrior Warm Up System and all 3 free bonuses. 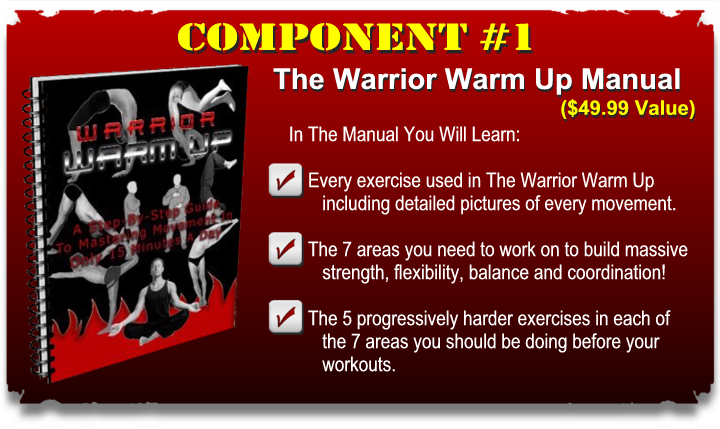 I’ve been told that the Warrior Warm Up System is way too cheap and this special exclusive deal of only $17 will end soon, or if I decide to keep the price the same the free bonuses will be withdrawn at any time and put up for sale separately. Just Click Below or you will miss out on this special market test to get your hands on the complete Warrior Warm Up System for over $150 off the list price! You’ve Got Questions… I’ve Got Answers!! Question: I want to lose more fat, will The Warrior Warm Up help me to lose more body fat? Answer: Your ability to maximize fat loss comes from performing full range of motion compound exercises. Everyone knows that squats are a great exercise, but most people never focus on increasing their range of motion. By following The Warrior Warm Up you will increase your range of motion on exercises like the squat, which will boost the metabolic cost of performing squats. In simple terms, this type of warmup helps prepare your body to get more out of your workouts helping you to get better results in less time. Question: Ok, I get that a warm up helps me build flexibility and keeps me injury free but is this really any different from what I may have seen in other programs? Answer: The Warrior Warm Up is like nothing you’ve ever seen! 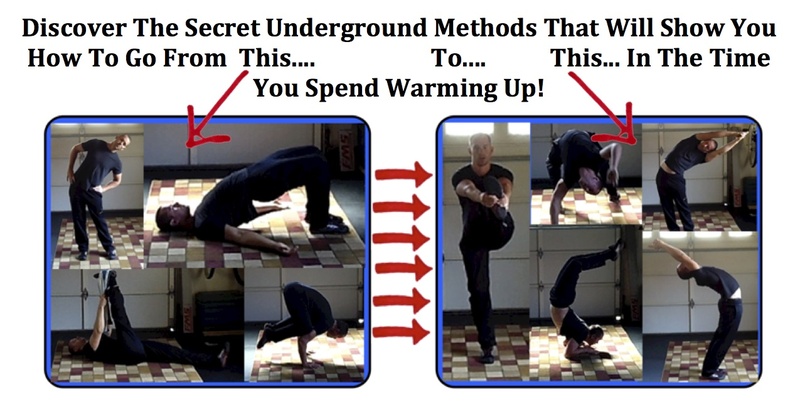 It is less of a “traditional” warm up and more of a movement system. It contains exercises that help to achieve better balance, build coordination and increase strength all while boosting flexibility and mobility. Question: Is this just some lame dynamic warmup I can get off of youtube for free? Answer: LOL, good luck finding this information elsewhere. Dynamic warmups are useful and a good place for most people to start. But a basic dynamic warm up is like kindergarten whereas The Warrior Warm Up is like getting your masters degree in warm ups. The exercises, breathing drills and specific sequence will not be found anywhere else PERIOD! Question: I want to build more muscle, will The Warrior Warm Up help me? Answer: Although The Warrior Warm Up isn’t designed specifically for muscle building it will help you to build muscle if that is your goal. Let me explain… When you excite the central nervous system through highly complex warm ups, you boost the nerve signaling in your body. What this does is give every muscle that you use in your workouts MORE HORSEPOWER!! When you have more horsepower, you can lift heavier, get more reps AND build more muscle faster! Question: I don’t like warming up, is it really that useful? I just get soo bored doing seemingly stupid warm up and mobility routines. 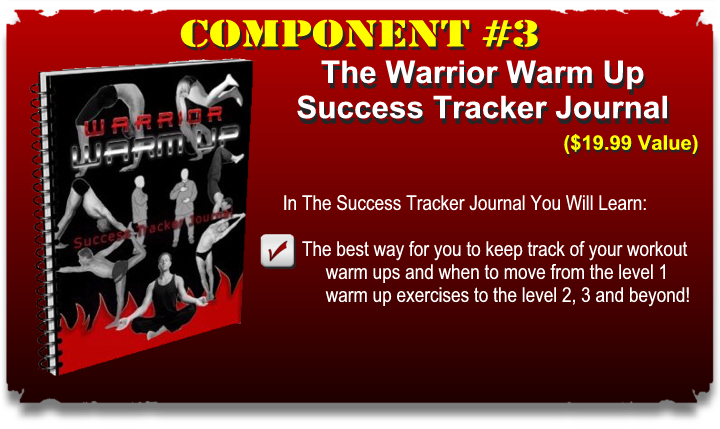 Answer: Well here’s the good news… Since The Warrior Warm Up uses a systematic set of progressions, it never gets boring. As soon as you master a set of simple warm up exercises, you move onto more difficult ones which keeps this warm up fresh and exciting. Say goodbye to lame arm circles and jumping jacks and say hello to The Warrior Warm Up. Question: I am concerned with getting injured. Will The Warrior Warm Up help me to stay injury free? Answer: Everyone who has used The Warrior Warm Up for more then 30 days has reported an increased sense of resiliency. They mention feeling younger and more unbreakable in addition to their new found flexibility. This warm up was designed to make your body indestructible, helping to rid your body of aches and pains and prevent the risk of future injury. Question: Does this really only take 15 minutes? Answer: I designed this warm up with my high end personal clients in mind and as such I made sure that it was exactly 15 minutes in length. I understand that people don’t want to spend 30 minutes a day to get the benefits of increased flexibility, mobility, balance, strength and coordination so over the course of several years I cut out the useless exercises and kept only the BEST movements that really work. 15 minutes a few days a week is really all you need. Question: I am extremely inflexible. I can’t touch my toes and I have bad posture. Will The Warrior Warm Up help me? 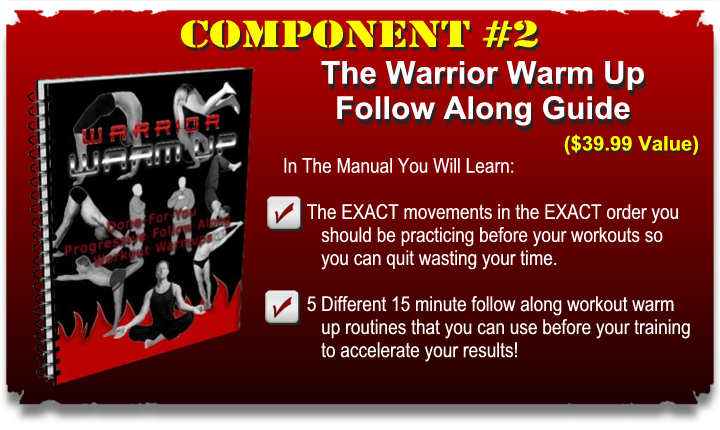 Answer: The Warrior Warm Up contains 5 different routines from beginner to advanced. The beginner levels were designed so that anyone can do them. All you have to do is follow along and you are good to go. 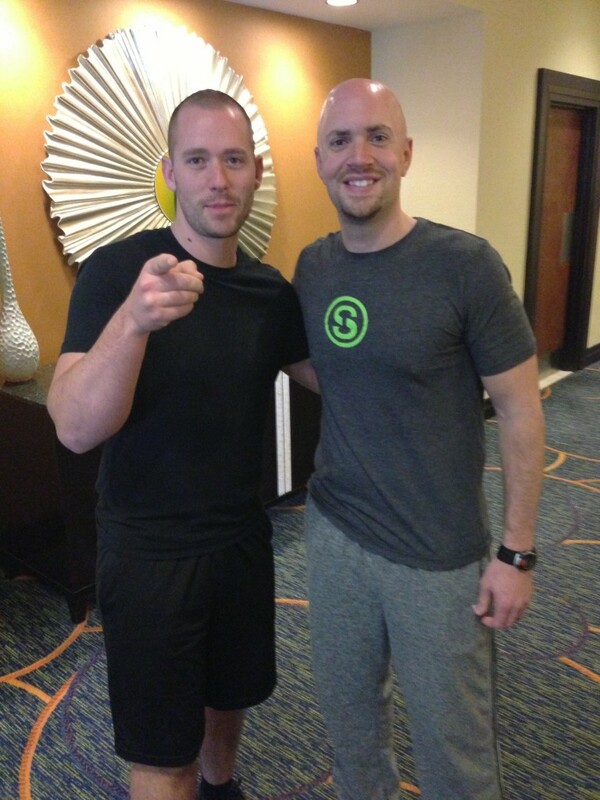 There is no prerequisite of flexibility whatsoever and if this is you… You need this program! Question: I am an advanced athlete. What will The Warrior Warm Up do for me? Answer: The Warrior Warm Up was designed with the science of neruo plasticity in mind. This emerging science has shown us that the more movements you master and the more challenging they become, the better your access to potential movement will be. This is much like a piano player who at first only knows 1 or 2 scales. This limits his ability to play because he has not developed the skill to do more. But when this same player learns dozens of different scales he is able to do things that he didn’t even know he could do. The Warrior Warm Up increases your movement potential through a systematic progression of movement exercises. This is often the single difference between the amateur and the real pro.